An excellent location just off State Highway 2 , the many recreational opportunities in the region include: Boating (all tide launching ramp right here at Tanners Point); bush walks; restaurants and cafes within 10 - 20 mins drive; Katikati township 10 mins drive; the Karangahake Gorge historic Gold-mining area, includes walks and cycleway, historic Train Ride; Beaches - Waihi Beach 10 mins by car, Tauranga City and Mount Maunganui Beach 40 -45 mins by car; Hot Pools - Athenree and Katikati - each 10 mins by car; Hobbiton (Lord of The Rings movie set) and Rotorua - (cultural and geo-thermal attractions, etc) approx 1 hour 20 drive. This is an apartment annexed from the owners home, the owners live on site. It has limited kitchen facilities. Microwave, toaster, jug and a BBQ outside, but no hotplates inside or kitchen sink. We enjoy family, travel, and spending time with friends. We love our home country of New Zealand and enjoy showing it off to others! And although we love home, we have lived and worked in Holland - 6 1/2 years, and Sydney Australia for 6 months. Great view, great location, great facility. 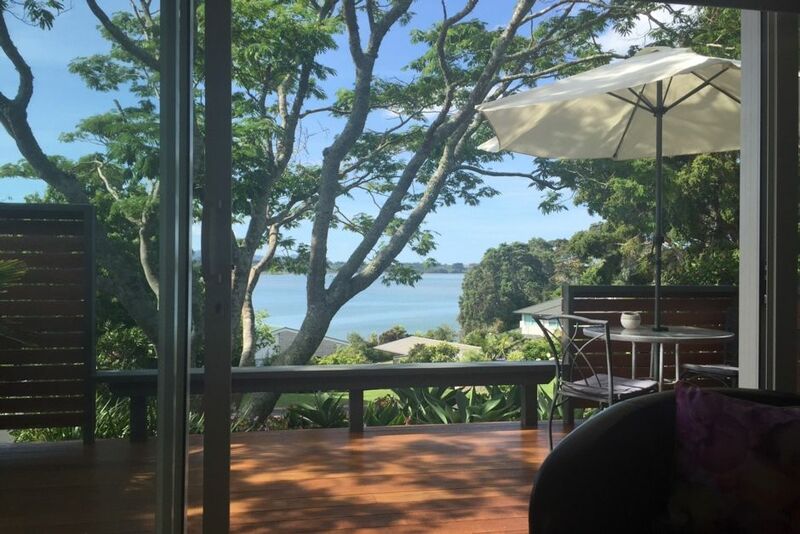 Our view is out over the upper Tauranga tidal estuary. Fan heater in lounge, panel heater in bedroom. Washing machine available upon request. It is located in owners residence. Dryer available upon request. It is located in owners residence. Waihi Golf Course is 15 mins away by car. I'm not sure I want to share details of this lovely apartment because we like it so much!! So comfortable with everything you could need plus an amazing view and wonderful hosts who made us so welcome. It is so peaceful waking up to the sound of the tui and to watch them flying around. In the future, this will definitely be our bolt hole from the city. Jill and Neil were very welcoming. 100% recommended for stay. Was able to use my camp stove easily outside on a table set up by Neil later. Enjoyed our stay didn't want to leave. Hosts were lovely. There to welcome us an nothing too much trouble. Nice sitting on the deck looking over the water listening and seeing all the different birds especially the tui. Would recommend this place nice relaxing break away. Property was outstanding, quiet and peaceful area, the Tui’s in the morning are tranquil and mind blowing. The hosts are very helpful and lovely people. I will definitely return to this property and definitely recommend it to travelers. We are located in the sunny Bay Of Plenty 12 mins from Waihi Beach and 20 mins from the beautiful Karangahake Gorge. Day trips from our location include the beautiful beaches of the Coromandel Peninsula, Rotorua, Tauranga & Mt Maunganui and Hobbiton movie set.